Shechen Monastery or Shechen Tennyi Dargyeling Monastery is one of the most worked on and well decorated monasteries of the east. This bright structure situated in Boudhanath, Kathmandu bags a place in the six major monasteries of the Nyingma tradition. Famous for all the right reasons, known for passing on ethical knowledge along with cultural studies and sacred arts. Names under the ‘Shechen’ tag have been particularly famous throughout the country for its goodwill and its promise of individuals catering under the name. 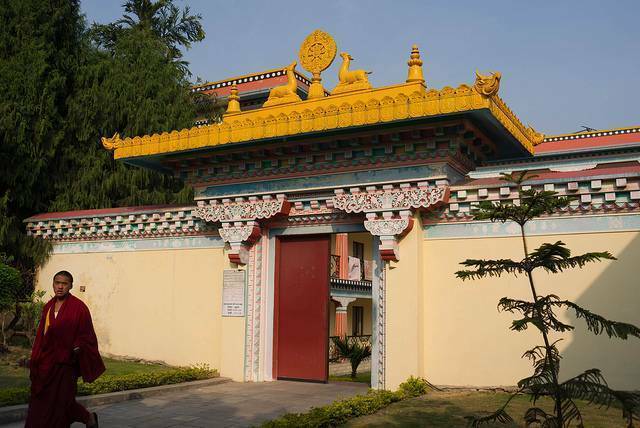 Shechen monastery truly has a vast array of information to offer and one could easily get lost in the beauty and preciseness of this place. With almost 150 statues all over the place and the largest Tibetan library in the east. Shechen displays Tibetan artistry like no one ever has. A very picturesque background with a calm undisturbed environment. Shechen never fails to meet the expectations that you set. Spend some hours and relax or dwell in the neighboring guest house for weeks. Easily accessible and no entry charges, with care and the homely feeling Shechen will always be a welcoming site for any traveller.